SSO for Heroku is currently available only to Heroku Enterprise customers. For specific instructions for other SSO providers, see the Using Single Sign-On Services with Heroku, for Administrators article. Azure AD can serve as the identity provider, or “IdP,” for Active Directory (AD) to provide single-sign-on (SSO) user login to Heroku. 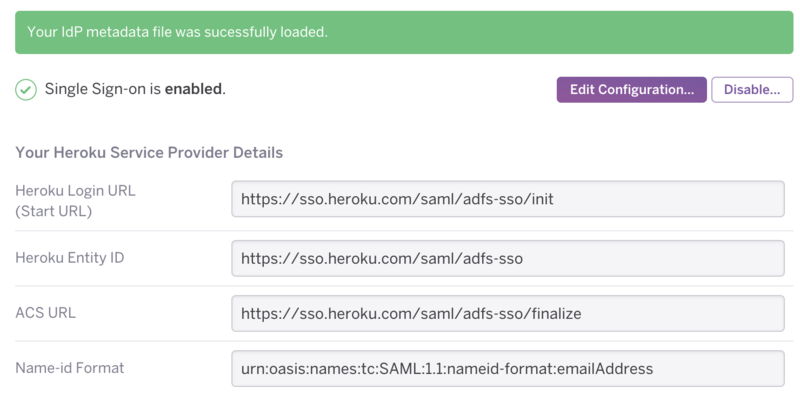 Heroku supports SSO via SAML, a standard in wide use by enterprises and companies to provide authentication services to products that would otherwise require separate accounts and logins. As an admin, log into your Azure Portal, browse to Active Directory and select the directory which will be enabled with SSO for Heroku. Copy the “FEDERATED METADATA DOCUMENT URL” and paste the URL into a new browser window. Save the file to your local machine (you will need this document later, so store it in a place that you remember). In the Heroku web interface, select the Heroku org for which you want to set up SSO. In the settings tab for this org, upload the federation metadata document XML file. Congratulations! 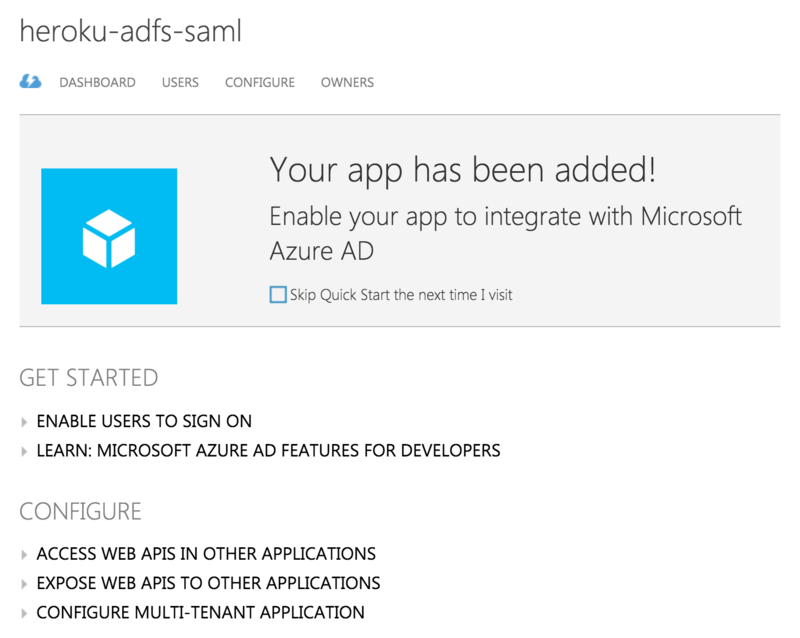 SSO is now enabled for your Active Directory users through Azure IdP. Heroku users will now be able to login using Azure credentials at the “Heroku Login URL” you have configured.